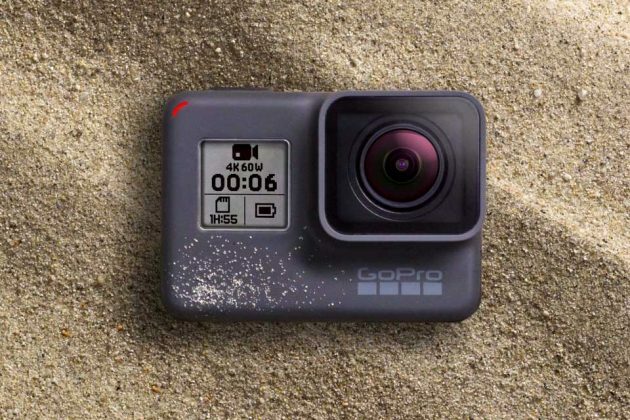 For seem like forever, the action cam market has remain rather quiet… until yesterday when GoPro took the wrap of two new devices: GoPro HERO6 BLACK and a brand new VR-ready, 5.2K spherical imaging device called Fusion. Continuing the HERO line’s tradition of oblong form factor, but this time only a tad sleek, thanks to the subtle curve thrown in the mix. It gets a custom-designed GP1 processor that enables it to capture resolution as high as 4K60 and incredible fluid slow-mo at 1080p240. Couple that with the new QuikStories, you will be getting producing cinematic videos to be share with those who you care about. 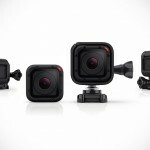 Furthermore, it boasts what GoPro claimed as the “most advanced stabilization of any HERO camera.” Other noteworthy details include an all-new Touch Zoom, 3x faster offload speeds afforded by 5 GHz WiFi, compatibility with Karma and existing GoPro mounts, improved Dynamic Range and low-light performance, RAW and HDR photo modes, voice control in no less than 10 languages, and connectivity and sensors like GPS, accelerometer, gyroscope, Bluetooth and WiFi. 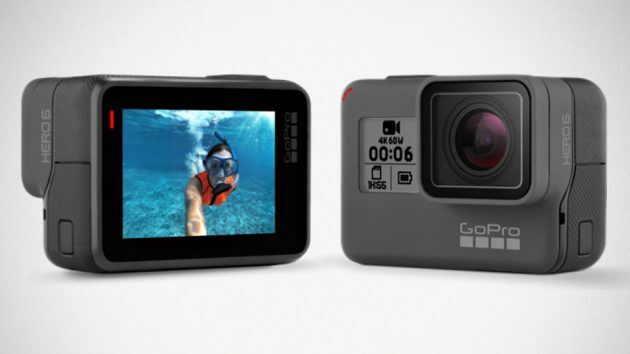 All these modern tech wonder are packed into a rugged, waterproof (up to 33 feet, or 10 meters) body that is ready to go wherever your next adventure might be. 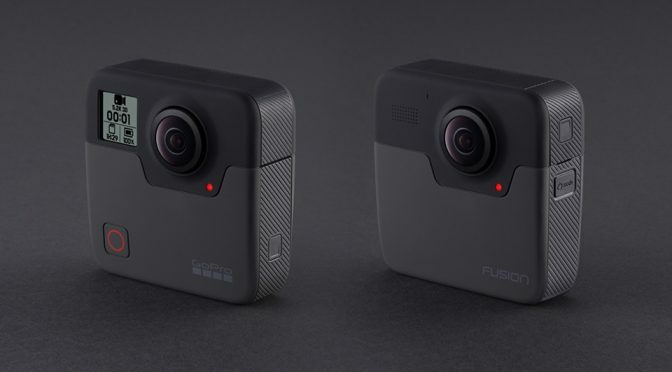 And then there’s the Fusion that works pretty much like the HERO6, but in a flat, squarish form factor and with added imaging capabilities, including 5.2K30 and 3K60 spherical videoing and spherical stills at 18MP. 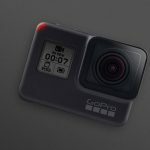 FYI, 360 footage captured by Fusion can be converted to regular video using an updated GoPro app, otherwise the spherical video is good as VR contents. 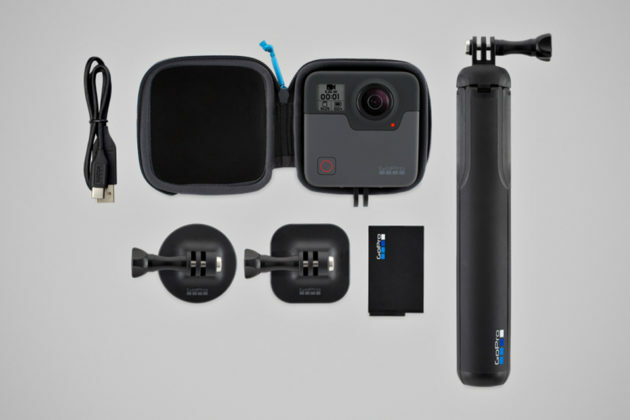 In addition to sharing a few features with the HERO6, such connectivity, sensors and voice control in 10 languages, Fusion also boasts 360 audio, waterproof to 16 feet (5 meters), advanced stabilization, and the ability to record time lapse video, plus photo, night lapse, as well as burst modes. The new GoPro HERO6 BLACK is available now, priced at $499.99 while the GoPro Fusion will be available in November. You can secure the Fusion via pre-order as we speak, but be warned, it ain’t cheap. 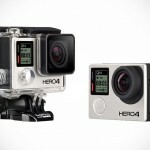 Expect the Fusion to set you back at a rather hefty $699.99. It is also worthy to note that converting 360 footage to regular video is only available in the new version of the GoPro app which will only available in early 2018 for both Android and iOS.